Casa Milà or La Pedrera? Either way it's a unique project by Gaudí. Casa Milà, or more affectionately known as La Pedrera, was built as a bourgeois apartment block that today is one of the most important cultural centres in Barcelona. La Pedrera was built between 1906 and 1912 under the guidance of Antonio Gaudí i Cornet in response to the whim of the industrialist Pere Milà and his wife, who saw the similar Casa Batlló built on the same road, and basically "wanted one" for themselves! They wanted a building from which they could rent out the apartments. The project was not without setbacks however, it was delayed for breaking various ordinances of the city, which modified the artistic intent of the original design slightly, though Gaudí made the best of it as he could. Though Gaudí worked on the project until its completion, he had some differences in ideas for the interior, which led Gaudí to abandon the artistic direction of the building in 1909. Since the 1920s, various modifications have been made to the interior. In 1984, UNESCO declared the building a World Heritage Site. Two years later, the building passed into the hands of Caixa Catalunya, where it has since remained. 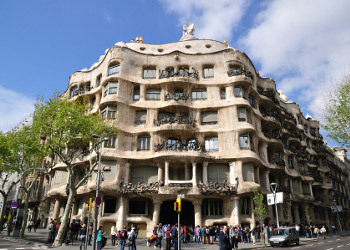 They have made the building the headquarters for the 'Fundación Catalunya-La Pedrera'. The attractions is specially adapted for visitors with hearing impairments. The modernist movement was deeply inspired by Art Noveau, a style that borrowed many of its ideas from nature. 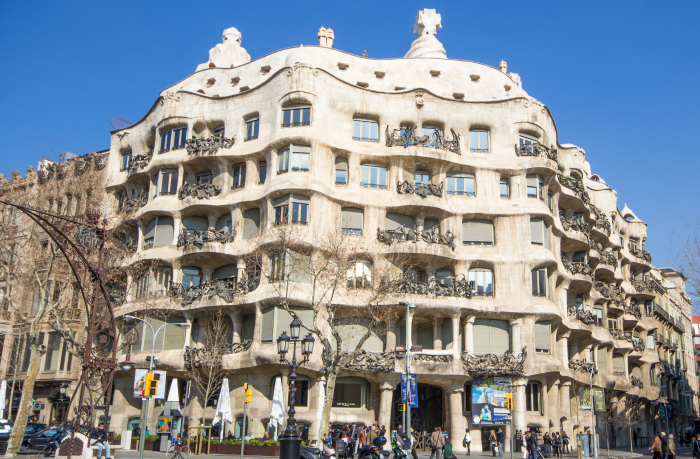 La Pedrera is no exception and even the name itself comes from the fact that the façade resembles a quarry. The lack of colours make it seem more sober than Guadí's other designs, but the forms and patterns bring the idea to life. It is one of those buildings that simply defines Catalan modernist architecture. By day: including the roof, the Gaudí space (the old laundry room which is now a space dedicated to the architect), the apartment of La Pedrera (a recreation of how a typical apartment in this building would have looked), the patios, and the exposition room. By night: guided tours of the building with projections, holograms, and other activities around the theme of the magic of the night. For a bit extra, visitors can attend a Jazz concert. Temporary exhibits: La Pedrera has become an important cultural centre that hosts many activities such as photography and painting exhibits, conferences, as well as musical and theatrical performances. You can also attend workshops and family activities. There is also a service that will help you to skip any queues via a VIP entrance, there are other monuments around Barcelona that offer a similar service and you can read about them here. Where: Provença, 261 - 265. 08008, Barcelona. Cómo llegar: Buses - 7, 16, 17, 22, 24, and 28. Metro - Diagonal (L3 and L5). Train (FGC): Provença. Train (RENFE): Passeig de Gràcia. Opening times: Summer - 9:00 to 20:00. Winter - 9:00 to 18:30. Closed for Christmas and 7th to 13th jenuary. Opening times on 1st January - 11:00 to 18:30. Price: €16.50. There are special rates for children, students, and handicapped people. There are also packages that include a visit with extras like concerts or audioguides. Check the official website. Casa Batlló Casa Batlló is located on the prestigious Passeig de Gracia. It was designed by Gaudí. Short History of the Sagrada Familia The Sagrada Familia seems like an endless project, started in 1882 and is still not finished. Mercat de Sant Antoni Sant Antoni Market is a trade centre for food, textiles, and entertainment. Women's health in Barcelona – IVF & Gynecology clinics A guide to women's medical tourism in Barcelona. Fertility and gynecology. Lights... Camera... ACTION... Barcelona style! All about my mother, Vicky Cristina Barcelona, Perfume. All of these films and more were shot in Barcelona. Tired of reading about Barcelona? 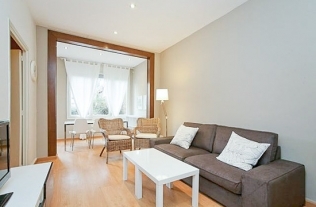 Find an apartment and stay there!